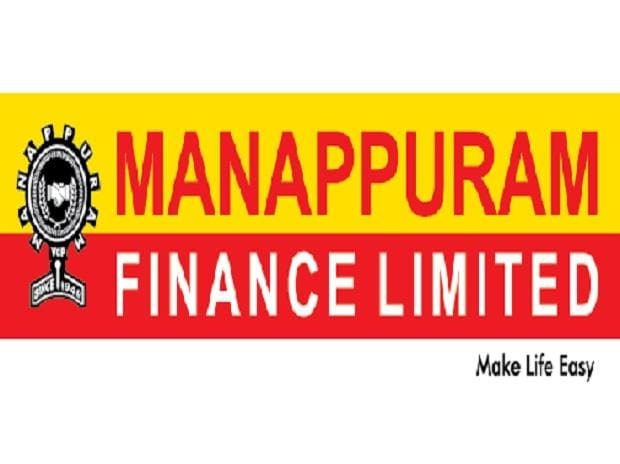 Manappuram Finance shares rose 7 per cent to Rs 129 in intra-day trade on the BSE on Thursday, on the back of heavy volumes in an otherwise subdued market. The stock was quoting close to its record high level of Rs 130 touched on May 9, 2018, in intra-day trade. The trading volumes on the counter more than doubled with a combined 7.2 million equity shares changed hands on the NSE and BSE till 12:33 pm. In comparison, the S&P BSE Sensex was down marginally by 0.11 per cent at 38,537 points. In the past six months, the market price of Manappuram Finance has surged 73 per cent on the back of foreign portfolio investors (FPIs) buying. The benchmark index was up 13.5 per cent during the same period. FPIs bought an additional 1.26 percentage point stake in Manappuram Finance during the October-December quarter (Q3FY19). FPIs stake in the company increased to 39.44 per cent from 38.18 per cent stake at the end of the September quarter (Q2FY19). The company is yet to publish shareholding pattern data of the January-March quarter (Q4FY19). Most of the brokerage houses have a ‘buy’ rating on the stock with a target price between Rs 123 and Rs 140, on the expectation of a decline in overall non-performing assets (NPAs). “With no bad loans post-Kerala floods and continued improvement in recoveries, we expect the overall NPAs to decline further going ahead. The gross NPAs in gold loans are expected to decline to 0.47 per cent by FY21E with that in microfinance declining to sub 0.5 per cent levels,” Centrum Broking said in Q3FY19 result update. “Although the funding cost will remain elevated in 4QFY19, but as the interest rates on its bank borrowing are expected to decline by up to 50 basis points due to the Reserve Bank of India (RBI) stance to allow banks to lend on the basis of credit rating which will give cushion to margin expansion. The impact will be there in 1QFY20. NII is expected grow at 24 per cent YoY and PAT growth is expected to be at 40 per cent YoY,” Narnolia Financial Advisors said in Q4FY19 results preview. Improved collection efficiency reflects strong asset quality. GNPA & PCR has been improving quarter on quarter. Going ahead, we expect management to continue conducting auctions and keeping the GNPA at 60 bps in 4QFY19, it said. “Disbursements are likely to be below-trend, which would reflect in softer assets under management (AUM) growth; however growth in the non-gold portfolio (largely to be driven by the commercial vehicle (CV) business, housing and two-wheelers (2W)) will support overall AUM. While the gold portfolio’s asset quality has been steady, we have seen stress percolate to the MFI, CV and 2W segments,” Edelweiss Securities said in the quarterly preview.